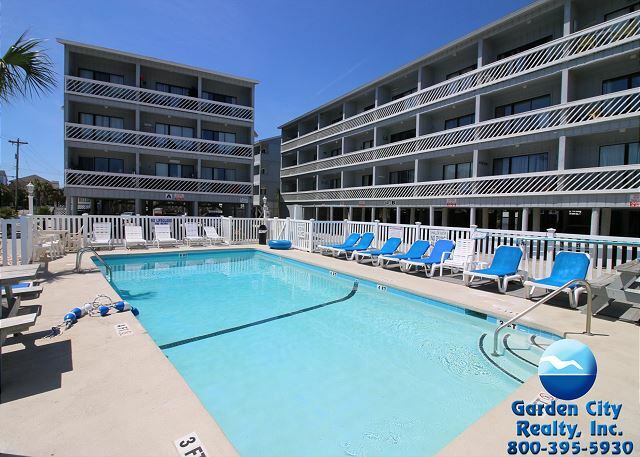 Whispering Sands is a second-row condominium complex located in Garden City Beach. Common area features a swimming pool and pool deck furniture, stationary grills, and coin-operated laundry facility. No phone. No elevator. Limit two parking passes. Golf carts permitted. No trailers permitted. No smoking. No pets. Check-out maid service included. Below is a list of properties we offer for rent in Whispering Sands I and II. Properties displaying "BOOK NOW!" are available to book based on your specific search parameters. Properties that do not display "BOOK NOW!" do NOT match your search parameters.